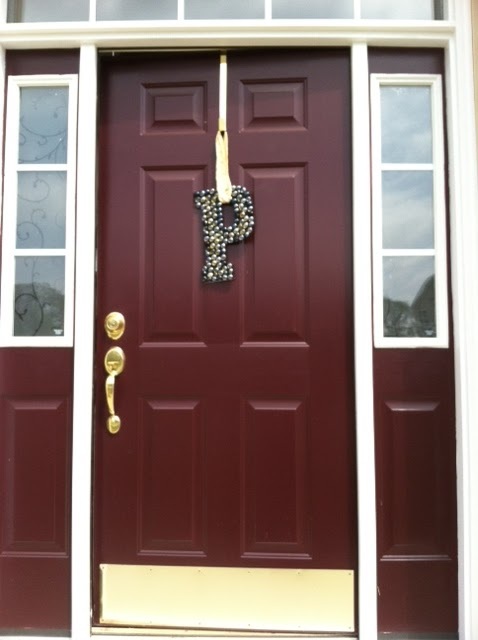 (From Stephanie:) We recently moved into a brand new house so I've been busying decorating everything from the front door on in. 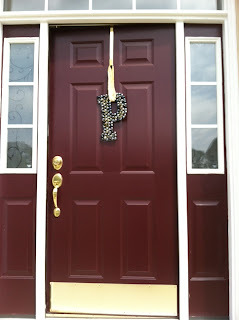 My latest DIY project was a front door decoration. painting it, I simply hot glued marbles on it and used a gold ribbon to hang it from the door. 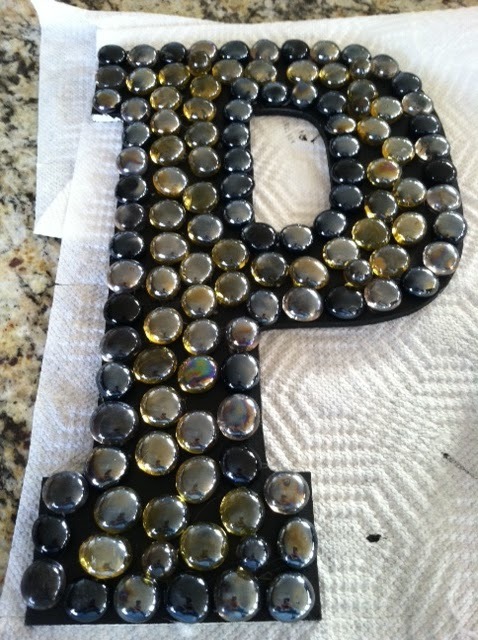 It's the perfect way to personalize the front our new home.